Made of quality cotton polyester mix, fully lined non sheer. 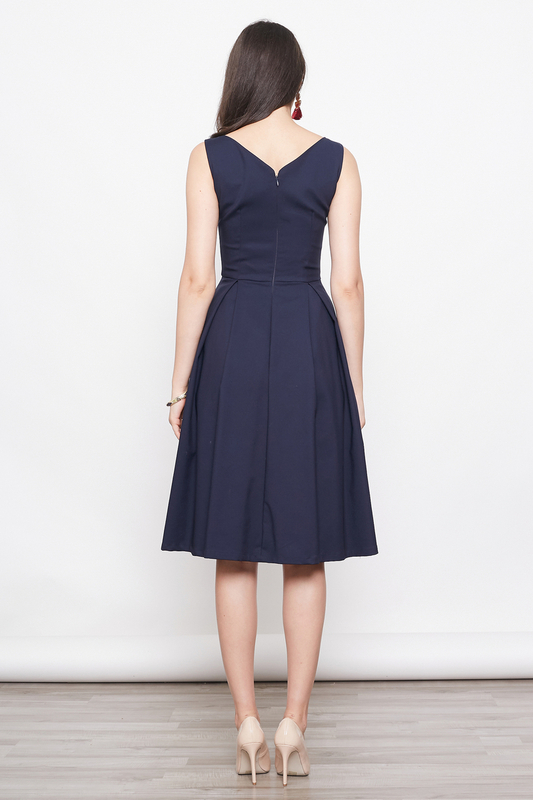 Features unique neckline, box pleat skirting, functional side pockets, back zip. 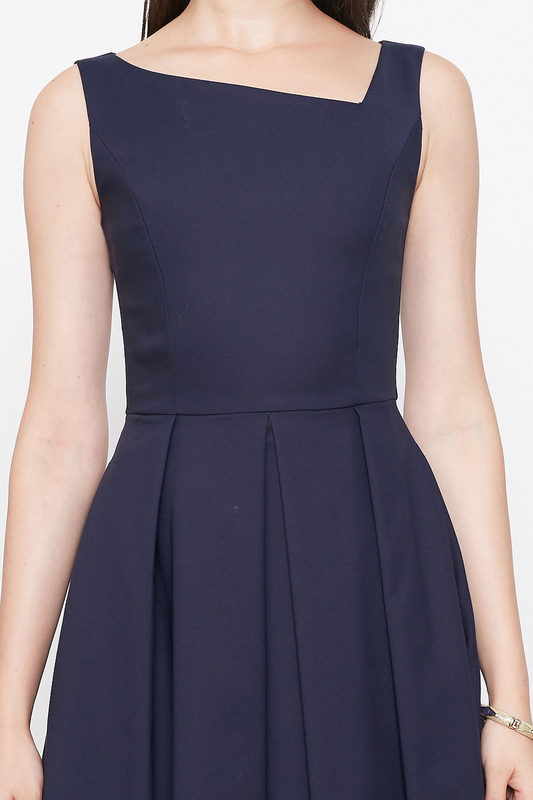 Dress has only very slight stretch in fabric. Model is 173cm, UK 4, wears Size XS for this item.